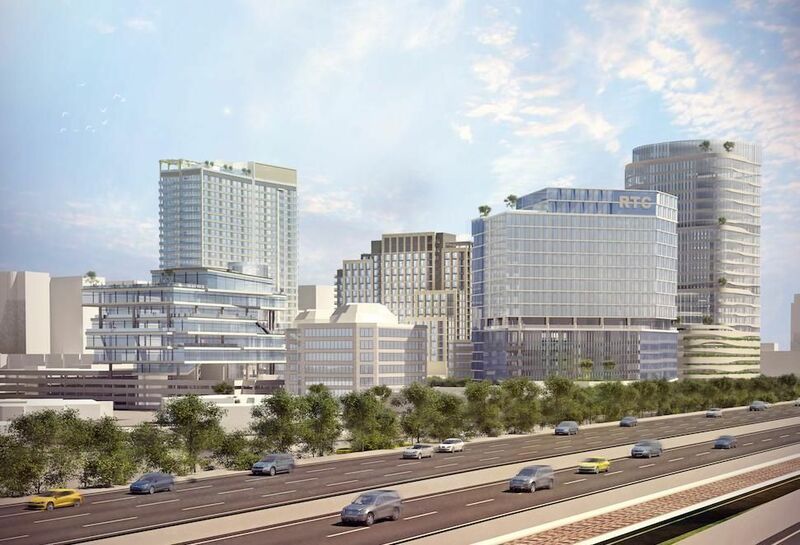 The JBG Companies’ Reston Town Center West project has big plans for expansion. 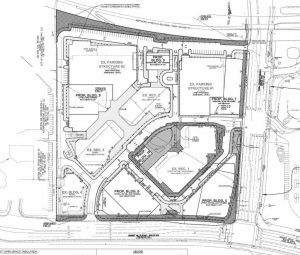 JBG has filed a rezoning application and development plan with Fairfax County Planning to permit the addition of 1.3 million more square feet of development to what is currently being built in the development on Sunset Hills Road about one-quarter of a mile from the future Reston Town Center Metro Station. The space is currently an office park, which JBG is in the process of repurposing by adding 40,000 square feet of restaurant and retail space to the ground floor of existing buildings. 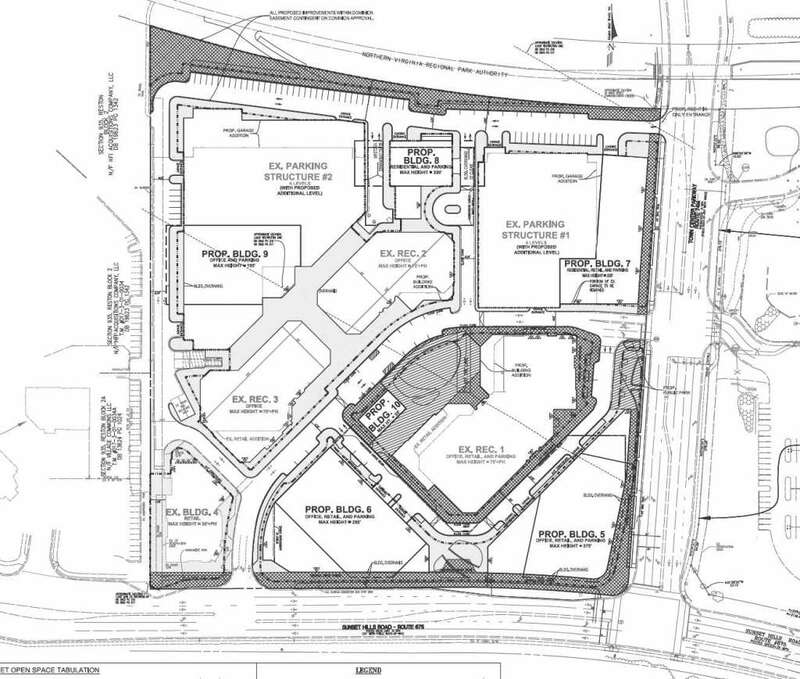 The 13.77-acre property already has two four-story parking garages. The plan for the second phase calls for about 675,000 square feet of residential (about 700 units) in two multifamily buildings; 650,000 square feet of office space in three new buildings and ground floor retail throughout the property. The plans also call for 3,100 parking spaces. JBG plans to construct the new office buildings on the southern side of the property along Sunset Hill Road, for maximum visibility from the Dulles Toll Road. The residential towers will be built to the northeast, closer to the W&OD and Town Center Parkway. The county planning commission hearing has not yet been scheduled. The first phase of RTC West already has leases signed for a nearly 10,000-square-foot Cooper’s Hawk Winery, Nando’s Peri-Peri and Mezeh Mediterranean Grill. It is expected to open some time in 2017.